In the aftermath of the 2008–9 great recession, some commentators argued that high pay in the finance sector was a grave problem because its level and structure created incentives for the reckless behavior that brought the financial system to the brink of collapse (e.g., Krugman, 2009). 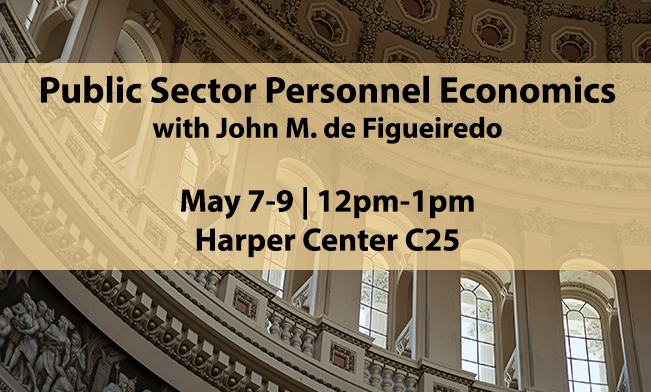 At the same time, finance workers may be earning wages that are above their social value, either because of the sector earning rents or because of impaired corporate governance, and that do not reflect a competitive compensation for their skills and effort. 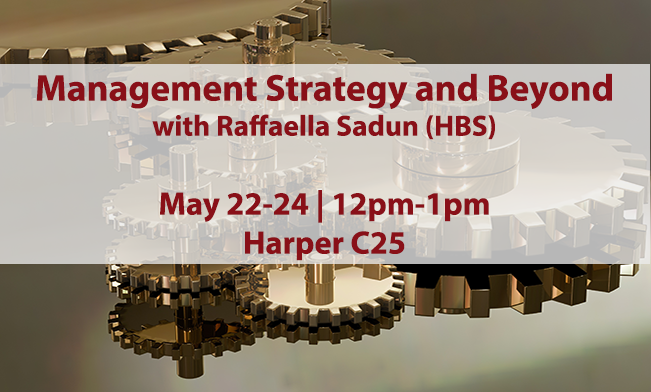 On the other hand, one may argue that finance has become a more skill-biased, globalized industry over time with huge scale and innovative financial products, and thus needs to attract and compensate talented workers (Rosen, 1981; Gabaix and Landier, 2008). In a recent paper, we examine some key aspects of this discussion for the United States and Sweden. 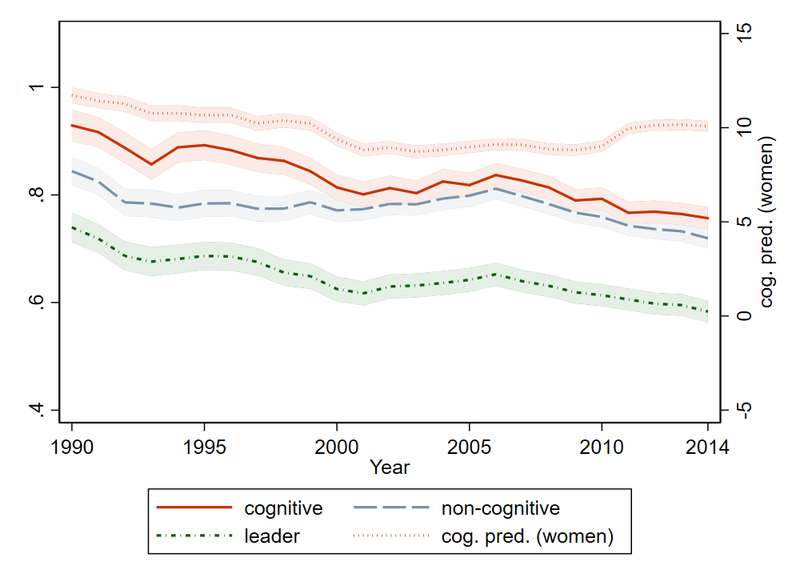 Swedish military enlistment data provides unique proxies for male workers’ fundamental talents such as cognitive and non-cognitive ability as well as leadership skills. Figure 1 shows that in both countries wages (including bonuses and other salary supplements) of finance workers have increased extraordinarily compared to the rest of the average employment population since the 1980s (from 10 percent to a whopping 70 percent premium), and that financial crises in 1991–92, 2001, and 2008–9 have only temporarily dented this general trend. 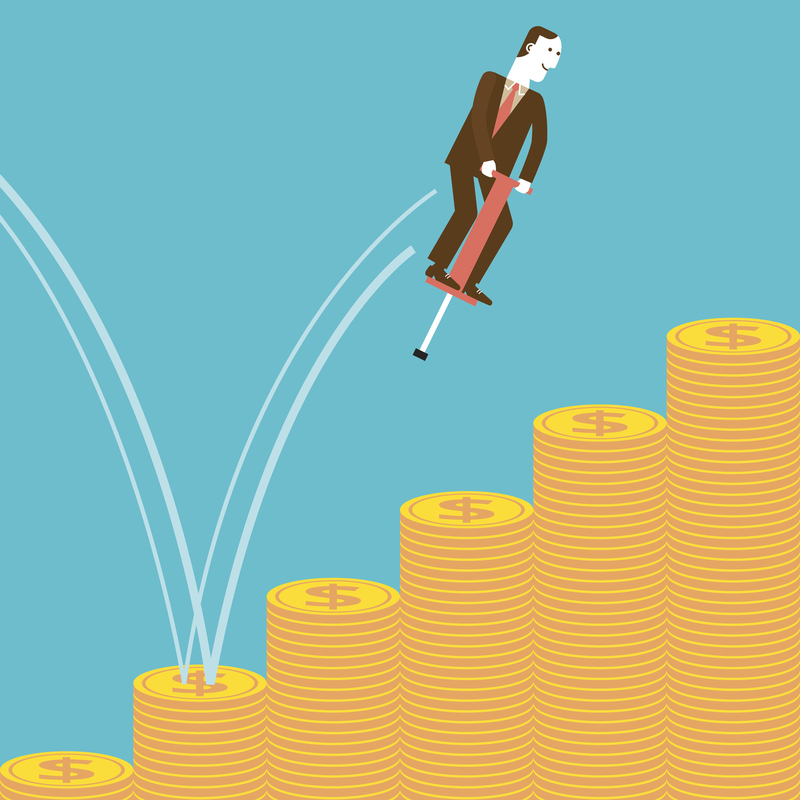 The skill-biased view of rising finance wages would suggest that this trend reflects a rising compensation for workers’ talent and effort in the sector. However, we find no evidence for this in the data. 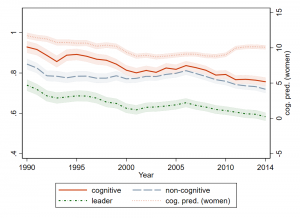 Figure 2, for example, depicts the relative cognitive, non-cognitive and leadership scores of financial sector workers (and predicted cognitive ability using high-school grades for females), again compared to the average employment population, during 1990–2014. None of these measures increases over time (indeed they rather decrease) as opposed to wages, which rose tremendously. In the paper, we check for the robustness of this result examining different parts of the wage and skill distribution (including the top percentages), using statistical techniques to also control for unobservable skill components, comparing finance to other high-talent sectors such as law, consulting, accounting, and information technology (IT), and analyzing the changing returns to talent over time. We also show that working hours in finance have increased in neither Sweden nor the United States over time (albeit at a high level for investment-banking type jobs). We finally examine the relative wages of workers in the financial sector by detailed occupation. 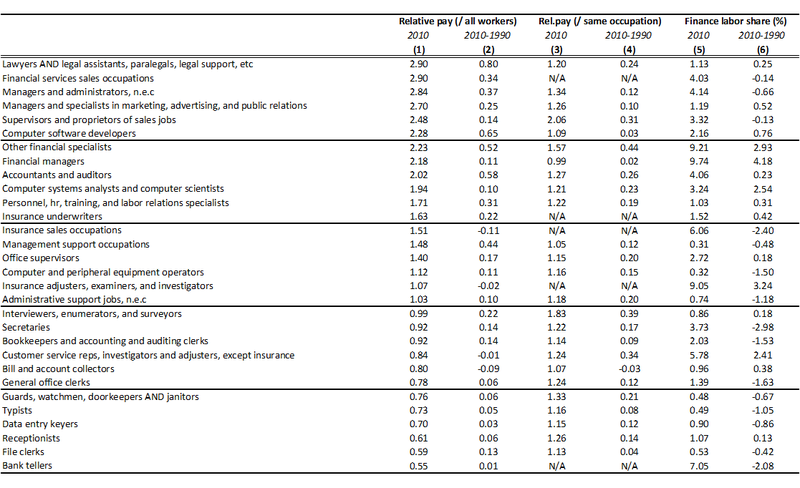 Table 1 depicts the result for the United States, showing that in essentially every occupation that is also prevalent in other sectors of the economy, workers in finance earn substantially more than outside it. This is the case for very high-skilled professions such as lawyers as well as low-skilled ones such as doorkeepers or receptionists, which we doubt do very finance-specific tasks in their jobs. Most strikingly, these relative wages have increased for every occupation but one over the last decades. 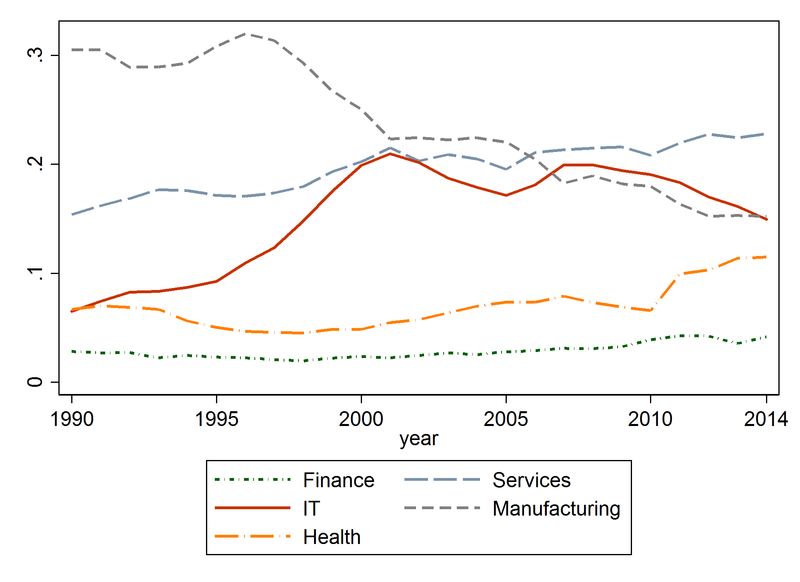 The weight of our evidence suggests that the increase in finance sector earnings is mainly driven by increased wage premia (i.e., equally skilled workers earn more in finance than outside it), as opposed to an increase in the productive skills of workers who choose to work in finance. It also suggests that these trends are similar in Sweden and in the United States. So at least in this respect finance seems to be globalized, with extreme relative wages in many places, even in egalitarian countries such as Sweden. We can only speculate where these wage premia originate, possibly from excess profits that finance is earning and sharing with its employees or from problems with its corporate governance, but they do not appear to arise from a growing demand for talent in the sector. 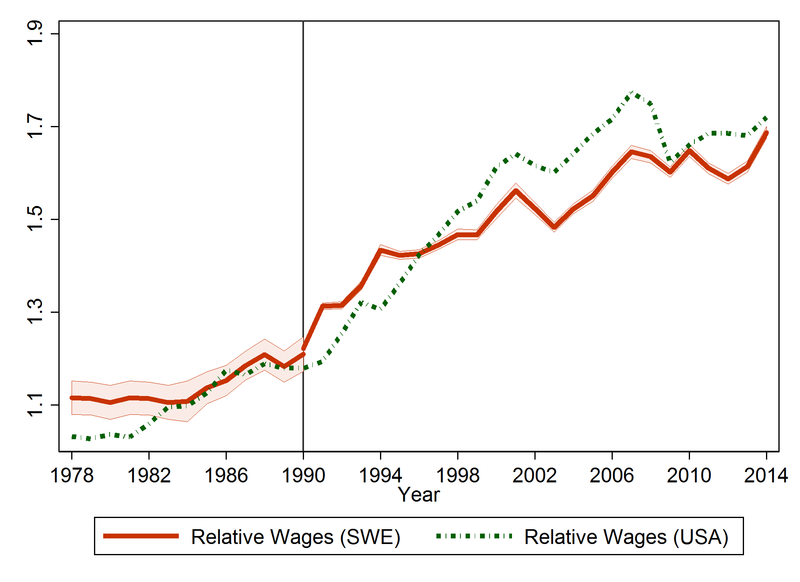 The compensation in finance is so substantial that it even has an effect on overall wage inequality: although the sector is rather small (2.5 to 5.5 percent of employment), finance workers today constitute more than 30 percent of top 0.1 percent earners in both the United States (Kaplan, Guvenen, Song, 2014) and Sweden, up from around 15 percent at the end of the 1980s. One further piece of evidence that the labor market for talent in finance may not be competitive is that, regardless of whether the high wages are coming from returns to skills or from rent-seeking behavior, we would expect more talented workers to try to enter the sector over time. That this is clearly not happening may actually be a boon to the overall economy if we think that the social productivity of talent is higher in other sectors than in finance. We conclude by depicting the allocation of talent in the overall economy in Figure 3. Sweden has one of the largest IT sectors per capita in the world. This strongly shows in the statistics: during the 1990s, IT’s absorption of top talented (above 95th percentile IQ) male workers increased rapidly, while manufacturing’s absorption declined. 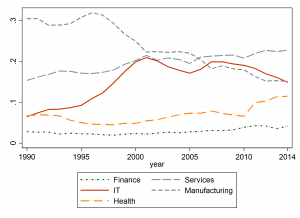 The health sector and services more broadly also increased their share of talented workers, whereas finance’s share remained flat at a very modest level despite the soaring wages. In terms of the innovative capacity of the Swedish economy, this may come as good news for some readers. It also suggests that policymakers could raise taxes on wages or bonuses in finance, as Sweden among other countries has debated (e.g., Næss-Schmidt et al., 2016), without altering the composition of the finance sector’s workforce. Böhm, Michael J., Daniel Metzger, and Per Strömberg. “Since You’re So Rich, You Must Be Really Smart”: Talent and the Finance Wage Premium. Working Paper (June 2018). Gabaix, Xavier, and Augustin Landier. 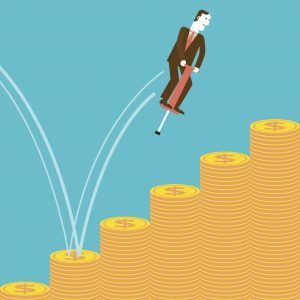 Why has CEO pay increased so much? The Quarterly Journal of Economics 123.1 (2008): 49-100. Guvenen, Fatih, Greg Kaplan, and Jae Song. The glass ceiling and the paper floor: Gender differences among top earners, 1981-2012. No. w20560. National Bureau of Economic Research, 2014. 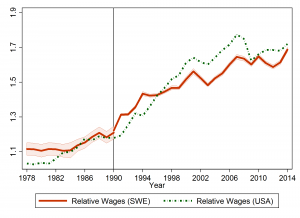 Næss-Schmidt, Helge, Christian Heeboll, and Jonas Jensen, Wage tax on a rapidly changing Swedish financial sector, Swedish Bankers’ Association, 2016. Rosen, Sherwin. The economics of superstars. The American Economic Review 71.5 (1981): 845-858. Michael Böhm is an assistant professor of economics at the University of Bonn. 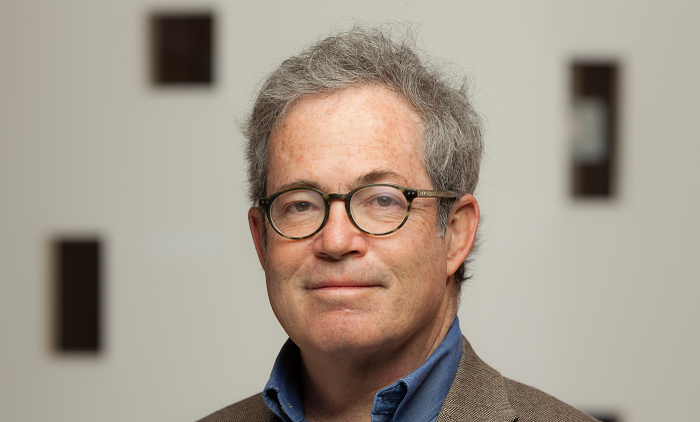 Daniel Metzger is an associate professor of finance at the Stockholm School of Economics. Per Strömberg is a professor of finance at the Stockholm School of Economics.